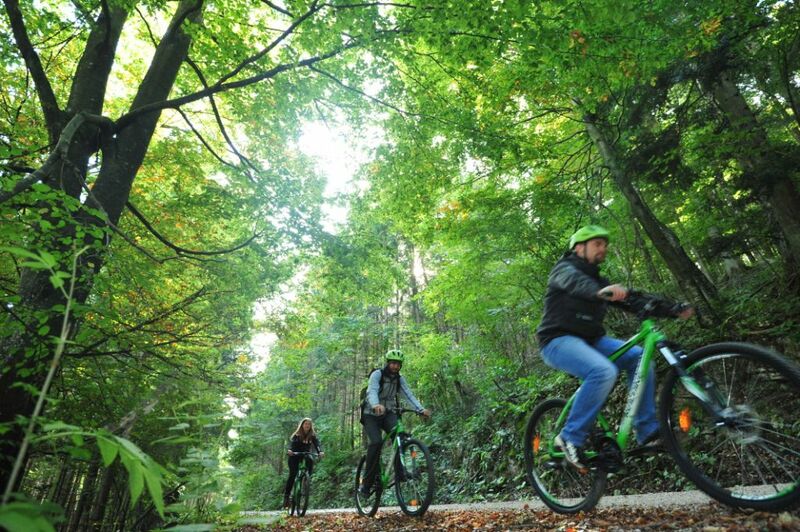 Circular trail starting in the village of Dolenje Jezero, leading through the village of Otok and along the Javorniki foothills to the village of Dolenja vas, and back to the starting point. 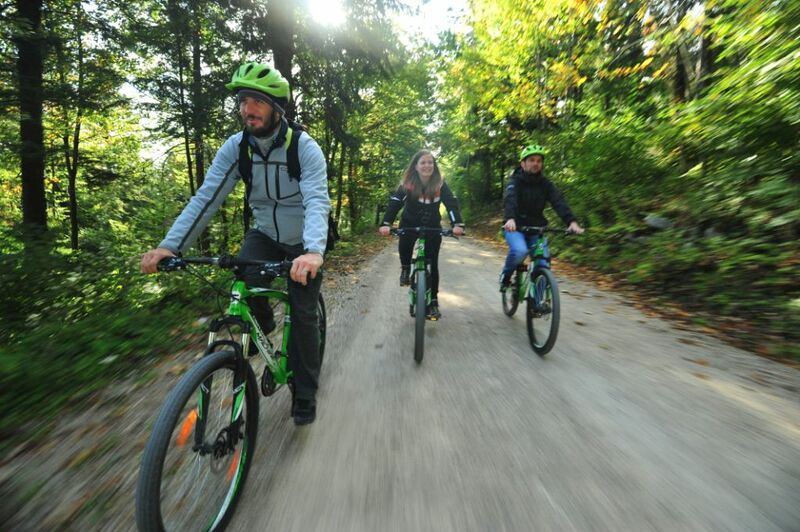 There are plenty of views of Mount Slivnica and the lake, and cycling in the fresh Javorniki forests is also pleasant in summer. Starting point is at the parking lot at the end of the village of Dolenje Jezero from where you set off on a macadam road. After about 1.5 km, turn left towards the village of Otok. Along the trail, there are a few opportunities to stop and admire Lake Cerknica, with each visit offering you a different view. 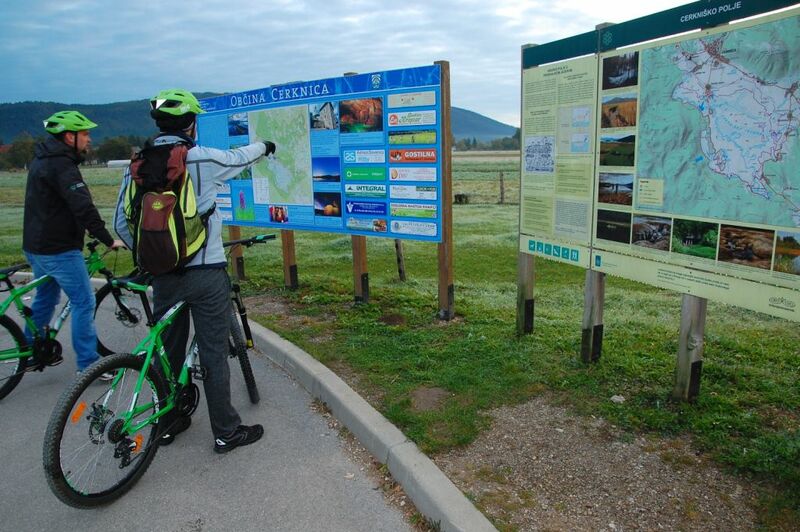 Continue through Otok, the only Slovenian island village, and turn right after some 500 m. Follow the 10-km ride along the Javorniki foothills, during which you can enjoy some magnificent views of Lake Cerknica and Mount Slivnica. The trail also takes you past the ruins of Karlovec Castle, which is connected with the legend of the creation of the lake, and above the Jamski zaliv cove with ponor caves such as Velika and Mala Karlovica. When you arrive to the village of Dolenja vas, turn right behind the village fire station and cross the little bridge. Two more km and you return to the starting point in Dolenje Jezero. Get the Bikemap app for your mobile to ride "Pike" cycling trail, to track your own routes and to share them with an active online community of 1,000,000+ cycling enthusiasts.